Most of the food grown on the 5,500 acre farm is preserved at the prison’s cannery and distributed to other prisons throughout the state. 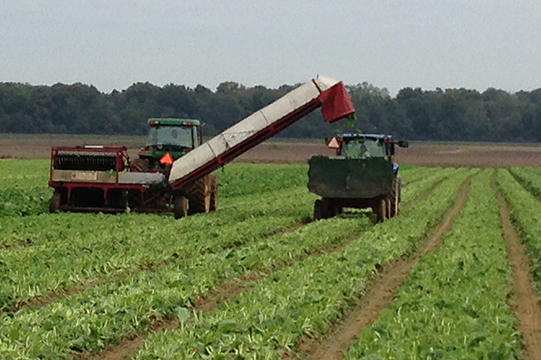 On average, inmates can almost six million pounds of staple crops corn, turnips, and collards per year. Other vegetables vary by acreage. Farmers work in eight hour shifts and are paid anything between thirteen and twenty six cents an hour. According to Sikes, raises and promotions are treated like they are outside of the prison. Being a prison, there are some key differences. Lunch breaks tend to last longer, as the prisoners have to be accounted for and properly secured prior to returning to the field. They’re also always accompanied by one of eight staff overseers. Occasionally, the prison will have a surplus harvest. When that happens, the food is donated to the Food Bank of Central and Eastern North Carolina. Over the past five years, the prison has donated over two million pounds of food for needy and hungry people. Just this week, they sent in a shipment of sweet corn. Coordinator of Marketing and Public Affairs Jennifer Caslin says the prison’s contributions are invaluable. 120 of the over 500 prisoners work on the farm at any given time. Those that do are housed in a special cell block, more relaxed than the standard ones. During the off-season, they cultivate vegetables in one of the prison’s greenhouses. 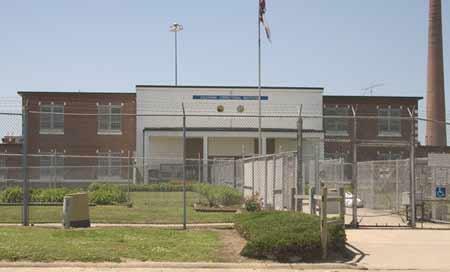 Pictures of the prison and farm can be found online at Public Radio East dot O-R-G. I’m Lee Jenkins.